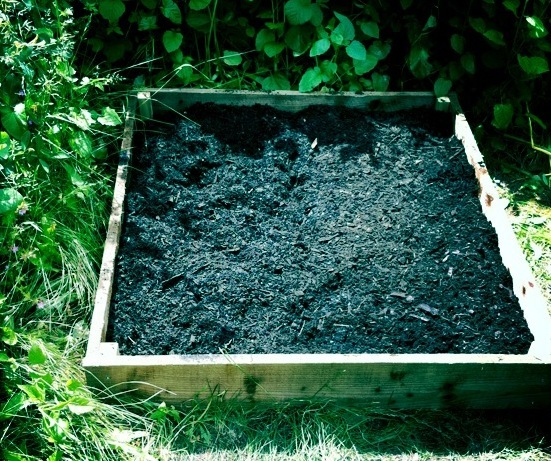 Believing that biochar could be a solution to safely and permanently sequester carbon in the soil, the Big Biochar Experiment is looking for hundreds of UK residents to enroll in the program and participate in citizen-powered science. Biochar will be provided free of charge. The participants will investigate whether biochar will work for their gardens and plants, and receive instructions and support on how to record the data from their plots and send it in to the experiment. Participants agree to set up two small fruit or vegetable plots of approximately 1m x 1m in size in their garden or allotment. One plot will be treated as usual with compost, while the other will have biochar applied with compost. Participants receive detailed instructions on how to apply biochar and how to plant seeds (to ensure similar experimental set up). Application rates should be at least 10% of the top 30 cm of soil (1 kg of biochar for a 1m x 1m plot). After harvest, they are asked to separate leaves, stems, and roots and weigh them to allow the project team to determine the plant’s net primary productivity and how biochar affects allocation of plant biomass to different components. Results will be drawn from all over Great Britain and are set to be published later this year. So far, no participant has reported a negative or no significant change. The team is hoping to get as many reports as possible, including negative results. They do not yet have a big enough dataset to provide conclusive results and are still seeking more participants at this time. The Big Biochar Experiment still has 100 free bags of biochar to give away. For more information on the project and to participate, register at www.bigbiocharexperiment.co.uk or contact Dr. Cécile Girardin. The Oxford Times recently ran an article on this project at: http://www.oxfordtimes.co.uk/business/profiles/9536533.Is_this_the_answe…. 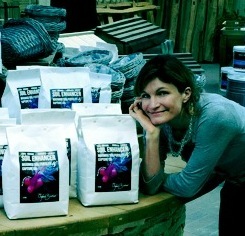 Dr. Cécile Girardin of Oxford Biochar Ltd with biochar, courtesy of Dr. Girardin. Plot pre-planting; courtesy of Dr. Girardin. 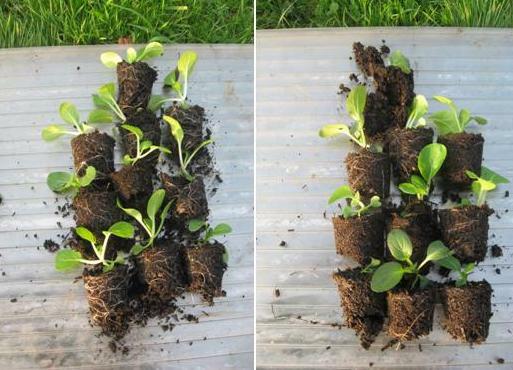 Left: biochar pots; right control. Note the larger root mass in the biochar amended samples; courtesy of Chris Goodall.